I want to add an Action to the popup menu as shown in the screenshot I have attached. I looked at all actions in the plugin generation wizard but couldn't see it. How can I add a new menu item in this popup menu? i think you can't do it formally. without any hack. because that part is also a different plugin area. HK> wizard but couldn't see it. HK> How can I add a new menu item in this popup menu? 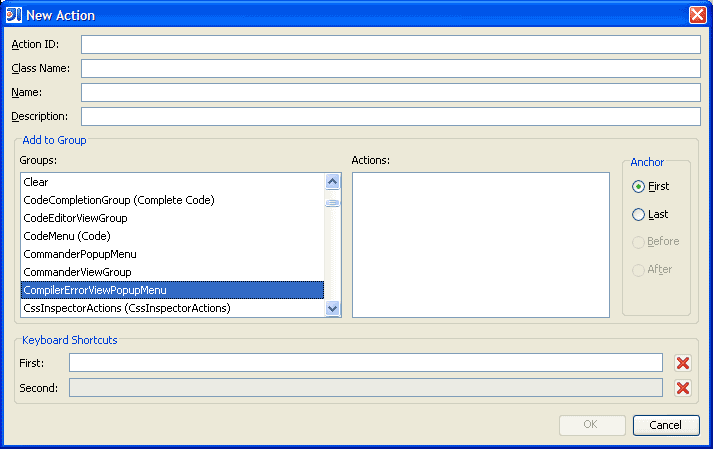 The group ID for this context menu is "CompilerErrorViewPopupMenu" (IdeActions.GROUP_COMPILER_ERROR_VIEW_POPUP). Thank you very much. I'll have a try. 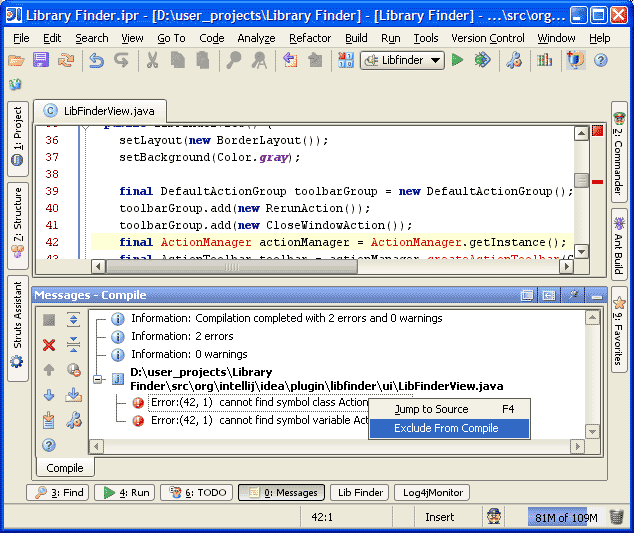 I cannot find GROUP_COMPILER_ERROR_VIEW_POPUP in IdeActions class. I am using dev kit 5.1.2. should I switch to another version? HK> am using dev kit 5.1.2. should I switch to another version? Indeed, customizing the menu is only supported in IntelliJ IDEA 6.0 beta. Is this group not active by default?